For those who love nature, with hundreds of local trees and young coffee plants, Three Wooded Acres, 8km from Madikeri in Coorg, is amazingly green and serene. Look forward to lazing in your own private patio in front of your room, over a cup of brew of your choice, read a book or bond with family and friends over one of many board games from the Library. This quaint little place also has its own weather station (http://bedi.co.in:13000/weather/index.html) and you can get your personal weather forecast! The afternoons at Three Wooded Acres come alive with loud musical Cicadas. The glittering glow worms at night are a sight not to be missed. Enjoy the warmth of the bonfire sitting around the low rock wall. For bird lovers there are a lot of birds to be spotted early mornings and evenings including a family of Hornbills and Paradise flycatchers. Take a leisurely stroll through the pathways or hike up to the nearby Nishani Betta peak or the Koot Holey Lake. 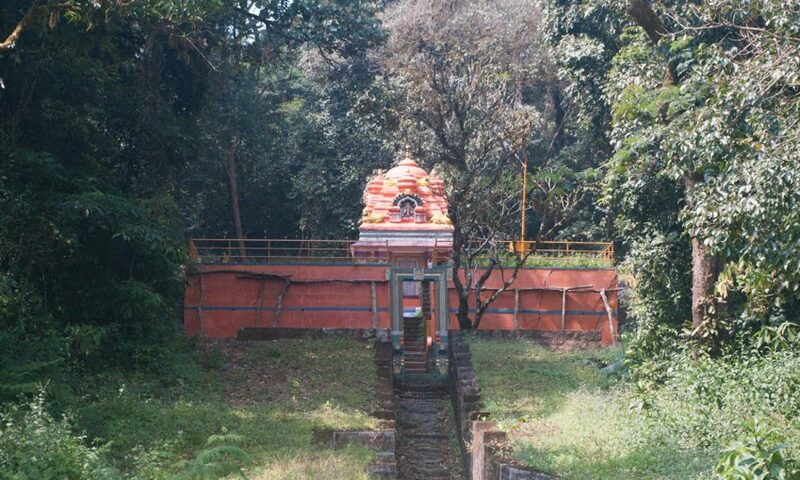 Or experience the calmness of the Bhadrakali temple and its dense Deverakadu forest. In the small library you will also find an interesting collection of old and new books and maps on Coorg including a copy of the first survey map of Coorg in 1816.